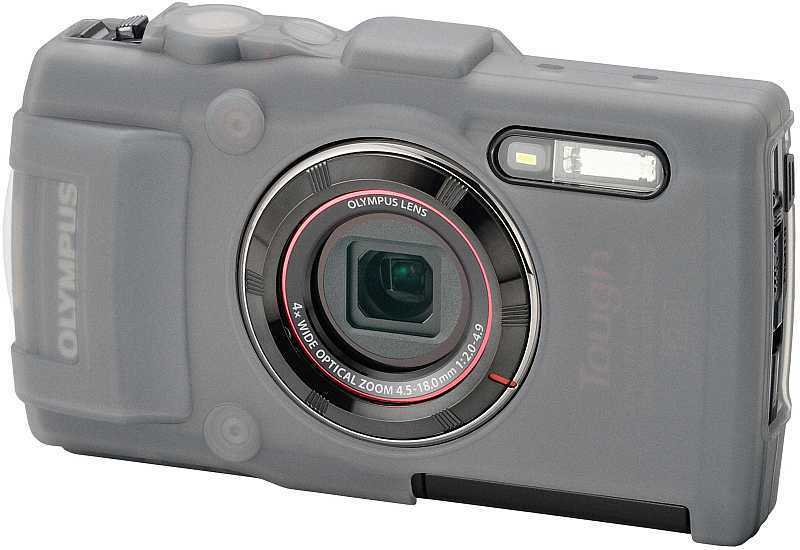 The 16-megapixel Stylus Tough TG-4 is Olympus's new flagship underwater camera offering raw image capture, GPS, WiFi and a 25-100mm equivalent f/2.0-4.9 lens. 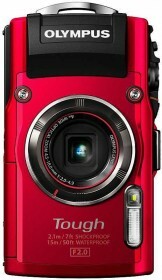 Shockproof to a height of 2.1 metres, crushproof to a weight of 100kg, freezeproof down to -10°C, dustproof and waterproof to a depth of 15m without a special underwater housing; the Olympus Tough TG-4 comes with an advanced, four-mode Variable Macro system that covers a 29-cm range – starting at 30 cm from the subject and zooming in to just 1 cm away. The four modes are Microscope, Microscope Control, Focus Bracketing and Focus Stacking. New to Microscope Mode is the slow-sync flash, which enhances contrasts and prevents potential over-exposure when you’re very close to the subject. Divers will also appreciate the new Underwater HDR feature, the built-in manometer, as well as the glove-friendly and customisable mode dial. The Olympus Stylus Tough TG-4 is available from May, priced at £349.99/$379.99. 04/13/2015 • Hamburg, 13 April 2015 – It’s not only extreme sports fans who appreciate rugged cameras and the new Olympus TOUGH TG-4 flagship will resonate with anyone who spends a lot of time outdoors and wants to capture their experiences in excellent quality, in any environment, without worrying about the light or the state of equipment. The TG-4 is a powerful all-rounder but its most impressive single feature is the super-bright 25-100mm* lens with a 1:2.0 maximum aperture at wide zoom settings. This allows it to capture spectacular, colourful, low-noise shots in light-starved environments where fast shutter speeds and low ISO settings are indispensable. For example, at 15 metres** underwater, where the TG-4 operates successfully without an underwater housing – or even an extra light. Divers will also appreciate the new Underwater HDR feature, the built-in manometer, the glove-friendly and customizable mode dial and four different macro settings. Other highlights include Live Composite, RAW file support and AF Area, which allows you shift the focus within the frame. The ever-expanding family of specialist TOUGH accessories take shooting into yet more extreme territory – be it photographic, sporting or geographical. That said, the TG-4 already comes with a reassuringly long list of ‘-proofs’. It’s pretty rugged right out of the box. 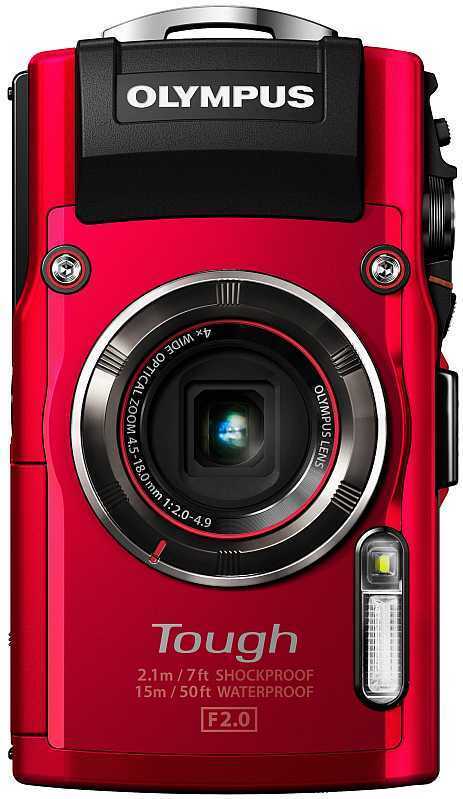 The TOUGH TG-4 is available from May 2015 in black or red for €399.00, which includes a six-month warranty extension if owners register their camera at MyOlympus. The new TOUGH TG-4 has five main strengths: its ultra-bright 1:2.0 lens, its Variable Macro system, its range of system accessories, its convenience (GPS, WiFi, geotracking and more) plus – of course – its toughness. The TG-4 is shockproof to a height of 2.1 metres**, crushproof to a weight of 100kg**, freezeproof down to -10°C**, dustproof and waterproof to a depth of 15m without a special underwater housing**. This tried-and-lab-tested ruggedness makes the TG-4 a reliable companion for anyone who spends a lot of time in the great outdoors. As the mountaineer, adventurer and keen photographer Ed Farelly said, “From the highest to the deepest, the warmest to the coolest, this camera has literally followed me across the globe and not once has it ever let me down.” Farelly was talking about a previous TOUGH flagship. The TG-4 has since come on in leaps and bound. Spectacular shots of the natural world are clearly one of the biggest draws when shooting outdoors, so the TG-4 comes with an advanced, four-mode Variable Macro system that covers a 29-cm range – starting at 30 cm from the subject and zooming in to just 1 cm away. The four modes are Microscope, Microscope Control, Focus Bracketing and Focus Stacking. New to Microscope Mode is the slow-synchronize flash, which enhances contrasts and prevents potential over-exposure when you’re very close to the subject. This dramatically improves image quality at very high magnification (the TG-4 can magnify up to 6.9x, or 13.8x with Super Resolution Zoom). Focus Bracketing takes several in-focus photos of the same scene with a different subject in focus and allows you to pick one, whereas the Focus Stacking combines the different shots into one image where everything is in focus. TG-4 owners can use Focus Stacking without software, which is unique in this camera category. For people who do want to edit their images on a computer, the TG-4 offers RAW file support. They will appreciate the realism, intense colours and low noise of images taken in low light with low ISO settings and fast shutter speeds, for example deep underwater. This is thanks to the 1:2.0 25-100mm* lens that retains its brightness even at wide angles. The results can be spectacular, and not just below sea level. The TG-4 delivers stand-out images in a variety of low-light situations, for example in combination with the new Live Composite feature that lets campers capture the movement of stars across the night sky without losing sources of light at ground level, such as a brightly lit tent. Two more new highlights for nature enthusiasts are Underwater HDR and the AF Area feature. Underwater HDR enhances areas of strong light and shadow to deliver more dramatic shots of marine flora and fauna that might otherwise turn out all blue or bland, or both. AF Area allows you to focus on specific areas or objects in the frame by toggling the buttons on the back of the camera. It’s ideal in combination with one of the four Macro modes. Divers or winter-sport fans often wear gloves, which makes access to key features via a dial – and not a touchscreen LCD – essential. The TG-4 comes with a large dial designed precisely for that purpose, conveniently positioned just below the record button on the back of the camera. What’s more, two of the menu points on the dial are customizable (marked C1 and C2), guaranteeing quick and easy access to favourite settings no matter where you are – or what you’re wearing. Underwater Mode is usefully marked as a fish. Equally convenient are built-in WiFi and the OI.Share smartphone app. Of course, WiFi lets you transfer images easily to other devices and show off your radiant stills or Full HD movies on social media. But it also means you can remotely control your camera from a compatible smartphone with OI.Share and set the self-timer, which is particularly useful for still and movie selfies, interval and sequential shooting, or capturing camera-shy animals that avoid contact with humans. You can release the shutter directly on your phone and check selfies when there’s no one else around to help. OI.Share should not be confused with OI.Track that, true to the name, automatically adds GPS and e.Compass data such as latitude, longitude, altitude and depth to images you transfer or share via your smartphone. Of course, you can switch this off to conceal the information at any time. For anyone with the ambition to take their photography to the next level, the TG-4 is compatible with a large range of specialist accessories, both optical and practical. These will resonate with more adventurous owners such as snowboarders and kite surfers, and especially with advanced divers with the confidence and qualifications to shoot at depths greater than 15 metres. The accessories range from a Sport Holder for attaching the camera to a harness and a variety of converter lenses to a Floating Handstrap, underwater LED Light Guide and a housing that is waterproof down to 45 metres. Whereas the tele converter (TCON-T01) and fisheye converter (FCON-T01) lenses attach directly to the camera via an adapter, divers can screw the macro converter (PTMC-01) and wide converter (PTWC-01) lenses on to a mount on the outside of the housing underwater, likewise using an adapter. For serious divers, the TG-4 underwater opens up a world of new imaging possibilities at depth – and extremely competitive prices. For example, you can buy the above-mentioned PT-056 housing, a high-performance UFL-3 underwater flash and a PTSA-03 short-arm adapter for just over €900.00 – which gives you everything you need for a spectacular photo shoot at 40-plus metres for significantly less than equivalent accessory packages. For the full range of underwater accessories, visit the dedicated section of the Olympus website***. Olympus was the first pioneer of outdoor-proof cameras and the TOUGH TG-4 has the sophisticated features you’d expect of a category leader. With more intelligent features like Tap Control combining with Olympus’ proven 16-Megapixel sensor and 1:2.0 4x optical zoom lens, the TG-4 makes a comprehensive, great-value system for adventurous people with imaging ambitions to match. Given the TG-4’s trademark toughness, the six-month warranty extension seems unnecessary. But as pro adventurer Ed Farelly confirms, an added sense of security is always nice to have. 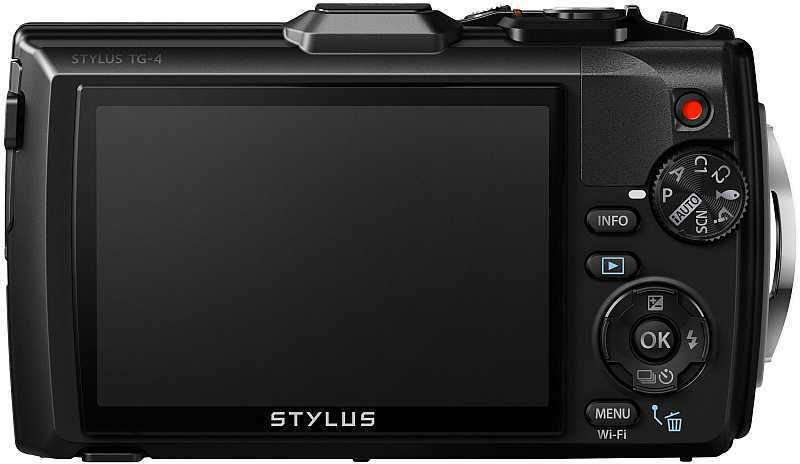 Owners of Olympus cameras now qualify for a free six-month warranty extension by registering their camera at MyOlympus. The extension is valid from the end of the statutory warranty period in the country of purchase.